Judgment has both restorative and preventative aspects. This book looks at the work of repentance through the lens of Joel. Today we're talking about the Book of Joel. 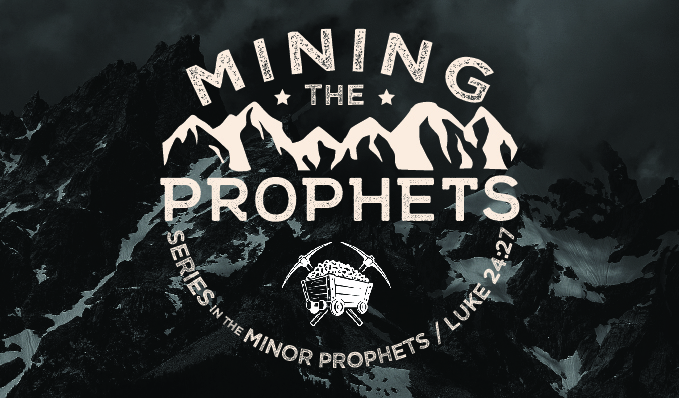 John thought it would be a good idea to look at the prophets in a series and a few of us get to do work at the Minor Prophets. I picked the Book of Joel because...insects, bugs, there are locusts in Joel and blood and signs in the sky and dreams and visions. It's actually really not about bugs. Some commentators point to the book of Joel having the theme of Judgment...the book is about judgment. Sure, why not? That's not really helpful though. It's not helpful to me. Here's why. If someone says to me that I'm in trouble or that I'm about to suffer consequences for a bad thing I've done there is the implication that I should change my ways...otherwise why say it? If don't have the opportunity to change my ways, why bother? IF though I have the opportunity to change my ways in order to lessen the severity or lengthening of the consequences that's a worthwhile message to listen to. It's in the Old Testament. It's three chapters long. It's written by a guy named Joel. We don't know a lot about the author. He was a prophet, the son of Pethuel and probably a contemporary of other prophets Amos, Hosea, and Obadiah. You can read their books as well. They're all relatively short and have similar messages: something bad is going to happen if you don't change your ways, something bad is happening because you're not changing your ways, look at the bad that happened because you didn't change your ways. There is that message of judgment but there is also often a message of the restoration of God's people. Here's the really hopeful part: it's not usually voiced in a this might happen IF you change. It's voiced in a this WILL happen WHEN you change. These prophets speak to various audiences: Israel and Judah of course, but also the surrounding nations who have treated God's people (Israel and Judah) poorly. Joel is primarily speaking to Israel warning them of impending judgment. We know who this guy is. Brett Kavanaugh. He was recently confirmed as a Supreme Court Justice. There was a lot of controversy in his appointment because of various factors. One of those factors had to do with an incident that went back to his youth. He was accused of sexually assaulting some women in his high school and college days 30 years ago. I'm not debating whether he was guilty or not nor would I diminish the severity of the crime. What I would point to is the implications. One the one hand, hopefully, a randy high school student sees this chain of events as a warning. What you do in your exuberant youth can have considerable consequences many years down the road. On the other hand, what if you're that randy high school student who has already done as bad as Kavanaugh was accused of or worse? What's the point in changing? See it would be apparent that, even if true, Kavanaugh did change his behavior for at least the last twenty years. What's the point of changing my behavior if you’re I going to be punished anyway? "Eat drink and be merry for tomorrow we die." says the person with no hope. Disclaimer: I'm not endorsing this attitude, I'm just pointing out the logic of a person who has no hope, has no savior to take him through consequences that he or she have already earned. But I think you see my point: A message of impending permanent judgment is not helpful unless there is also a way out. We who have hope know that God is good and will take us through the valley of the shadow of death even if that valley is a consequence of our own sin. That might be another sermon though. Today, what I'm saying is that Joel is not merely about judgment. The Book of Joel doesn't merely speak to or about Israel, Judah, and the surrounding nations but stretches forward in time to the end times and the day of the Lord and referencing the age of the church. That is a lot for a three chapter book. Joel 2b- Repent and God will restore you and make you better than before. Joel 2c- In the last days God is going to pour out his Spirit on His people. Joel 3- In the last days God is going to judge the nations and His people (Israel) will be fully restored and vindicated. grieving for the husband of her youth. Joel speaks of a plague of locusts and the disaster that they have brought....past tense. My question looking this book of the Bible is: Are we talking about a literal plague of locusts or are we referring to something symbolic that is going to happen? Just looking to this book of the Bible, it's hard to tell. But when we look at the Book of Amos that also refers to a plague of locusts we see that there is a literal plague of locusts involved at some point. 13 Yet the Lord testified against Israel and against Judah, by all of His prophets, every seer, saying, “Turn from your evil ways, and keep My commandments and My statutes, according to all the law which I commanded your fathers, and which I sent to you by My servants the prophets.” 14 Nevertheless they would not hear, but stiffened their necks, like the necks of their fathers, who did not believe in the Lord their God. 15 And they rejected His statutes and His covenant that He had made with their fathers, and His testimonies which He had testified against them; they followed idols, became idolaters, and went after the nations who were all around them, concerning whom the Lord had charged them that they should not do like them. 16 So they left all the commandments of the Lord their God, made for themselves a molded image and two calves, made a wooden image and worshiped all the host of heaven, and served Baal. 17 And they caused their sons and daughters to pass through the fire, practiced witchcraft and soothsaying, and sold themselves to do evil in the sight of the Lord, to provoke Him to anger. So, God brought about a disaster to get their attention., in fact many small disasters if we look at Amos. So this plague of locusts meant death because they ate all the plants, the fruit bearing, wheat, and the grass that the cows ate. You wouldn't be able to go to Safeway and even and get food because there wasn't any to sell...for a time. But the other big deal about this is that they are being identified with the sinful nation of Egypt from whom they were delivered. Egypt also was plagued by God with, among others...locusts. This is the "look, something bad happened and you still haven’t changed” message. So, there is an invitation here to repent. such as never was of old nor ever will be in ages to come. What I'd like to suggest to you, faithful reader, is that the locusts in chapter one were real literal, real locusts. The army in chapter two is figurative of a judgment yet to come. In these chapters God is speaking to his people using a disaster they do know: destruction by locusts, to point to a much greater destruction that is coming. Again, what's the point of the message of judgment if there isn't a way out or through? Historically and Biblically we know that Israel didn't repent and they were taken captive by the great armies of Assyria in 722 BC. This message by Joel was given over100 years prior. They still had time. When we think about the Old Testament and the New Testament many of us think about the Old Testament as a time when God was angry and the New Testament as a time when God became merciful. This is not true. This book is one of the many evidences of that. God had been warning his people for hundreds of years that something bad was going to happen if they did not return to him. When we read the Bible what we’re getting is the orange juice concentrate version. We're reading within a few pages and a few minutes even a few periods that took dozens to hundreds of years in a nation's history. Even in the times when Israel was coming out of Egypt they weren't to enter the promised land until the iniquity of that land was full. So even for other nations God had a period of relenting and not judging the land of Canaan. We don't know that God hadn't sent prophets to the land of Canaan and the Amorites. The Bible doesn't say. There's plenty of evidence suggesting God is merciful and that he does give people ample warning and time to repent. This is where it gets a little loopy because before I talked about what God was going to restore to Israel in the future but we know that they did not return to him. This new part, this day of the Lord is a period of time that includes the church and stretches to the end of days including the judgment. It includes a time when God's spirit was poured out on his people. In the book of acts when the Holy Spirit comes and people are speaking in tongues and prophesying, Peter references this prophecy in Joel as pertaining to the events that happened in the church. And maybe we’re tempted to say hey wait a minute you can't do that because that prophecy is pertaining to the nation of Israel and Judah. Sure, why not I'll bite. We forget that the first several thousand Christians were Israel, tribes that had been scattered across the known world had come back to Israel for the Feast of Tabernacles and got the Holy Spirit. Who was Peter addressing? Israel, same crowd that Joel was addressing. Did they repent? We have here is a partial fulfillment of Joel's prophecy. Israel has been partially restored. One could argue that is true spiritually and physically. Between A.D. 70 and A.D. 1948 there was no nation of Israel. But in 1948 Israel out of nowhere, became a nation again and the people started to return. What still has to happen? Then we're going to know that God is faithful to his promises. We can trust the same God that judged and restored Israel. Application. So what we have at the beginning of Joel is a disaster. This disaster is a physical disaster that was brought about by spiritual disaster, a nation's refusal to repent. But first things first let's define disaster. What is a disaster? [Get input] a sudden event, such as an accident or a natural catastrophe, that causes great damage or loss of life. "159 people died in the disaster" synonyms: catastrophe, calamity, cataclysm, tragedy, act of God, holocaust; accident, "a subway disaster" a loss of life. What’s a another word for loss of life? [get input]? Death. Keep that in mind. Scripture says in Romans 6:23 says that "the wages of sin is death." I think we do a disservice when we say that verse means hell specifically…if you sin, without Christ, you go to hell. While that certainly is true. The wages of sin is death and everything that leads up to it—pain, sorrow, suffering, eventually physical death. You may be in Christ but you’re also still receiving the wages of sin BUT because you are in Christ you will also overcome all that and get eternal life where death has no power anymore. So this plague of locusts that came to Israel caused death and destruction, loss of life. Normally we can't protect against an active godlike a plague of locusts, a tornado, a typhoon, or an earthquake those are things that just happen. But even when those things happen in life and we hear about them in the news. There was always a recovery. When 9/11 happened to our country... Heightened Measures to prevent terrorism were put in place. What the disaster revealed was that we were vulnerable and so our country fixed that or took measures to fix that. There were guiding principles put in place to help us recover from the attack. In that instance the recovery plan was also a prevention plan. The recovery part made us feel more secure so that we can move on with our lives and the prevention part hopefully, made our nation safer from another attack like that. In a sense our nation was repenting from a vulnerable system. synonyms: remorse, contrition, contriteness, penitence, regret, ruefulness, remorsefulness, shame, guilt "her lack of repentance angered them"
Sincere regret and remorse is going to be coupled with an action that proves it or a change in behavior that proves it. From a Christian perspective sincere repentance means a change of heart that will be reflected or evidenced in a change of behavior. The change of behavior alone is not repentance. A dog's behavior can be changed to not pee on the carpet but the dog is not a moral creature. It simply is not peeing on the carpet because there's a consequence involved. A dog cannot regret that it can't pee on the carpet it just knows might get spanked if it does. It pees somewhere else. Essentially repentance means you're walking one direction and you turn around and started walking the other direction. You are walking away from God and then you turn around and started walking back towards God. That's why often the language is used “if they would return to me.” God is everywhere you can't really walk away from God physically. But in your hearts you can walk away from God. And when you sin that is exactly what you're doing. Restoration in Israel's case was dependent upon the repentance but prevention also was dependent upon repentance. If they didn't want the bigger penalty of judgment of being taken away to Assyria, repentance would've been the plan. John the Baptist who is preparing the way for the gospel comes eating locusts and wild honey. Could that be a nod to Joel's reference of restoring what the locusts have eaten away? Locusts, really? I don't believe that's just a coincidence. John the Baptist is basically eating up the symbol of judgment as he prepares the way for Jesus and the gospel. Repentance for the little things. So it's easy to see that repentance is a good recovery plan but how is it practical preventative plan. Because it seems like repentance would always be in response to a sin that we committed, right? Well yes but we sin every day. Some of the sins have a bigger consequence than other sins. We have sins in our thoughts that if not repented of become sins in our flesh. This is what Jesus teaches: lust becomes adultery, hatred becomes murder, covetousness is the same as stealing. The idea here is that we repent of the small things when they happen so they don't become big things that create a spiritual disaster. Now we talked about physical disasters like locusts and armies and stuff like that. What is a spiritual disaster? [get input] Right, examples of spiritual disaster are divorce, loss of a job because of loss of a temper, relational estrangement of just about any kind, physical illness as a result of a life of excess, drunkenness etc. I was at SFCC last week making a right turn. Some guy pulled up in a truck in the left turn lane and blocked my view so I couldn’t see the traffic coming from the left. I was ticked. I looked over at him and eye contact (no sin, yet) but as soon as I turned my head away I swore at him under my breath. At that precise moment he backed up so I could see. That’s when the Holy Spirit convicted me. I realized the man read my lips. I had gotten in the habit of allowing myself to give full vent to my anger to the point of uttering obscenities when I didn’t think people could see it.. It didn't matter whether I directed it at them and express them toward the person that was the object of my obscenities. I was sinning against that person in my heart. Doesn't Jesus says whoever says of his neighbor thou fool’ is in danger of hell fire. Now if I had repented of those sins earlier, my lack of patience wouldn't have been exposed. Now I suppose it could be worse. I could have had a what would Jesus do bumper sticker on my car. That opens up a whole other can of worms.. For instance, what would Jesus do? Jesus would use a turn signal consistently. What would Jesus do? Jesus wouldn't text and drive. What would Jesus do? He wouldn't exceed the speed limit because Lazarus is going to be okay eventually. And besides a day as a thousand years and a thousand years as a day. And yes my recovery has meant repenting quicker of my judgments and in purity of thought when it comes to other drivers and situations. The main idea is that the Christian life is one of repentance. This means daily repentance there is always something to repent of. Are you loving your spouse as you should? Children are you obeying your parents as you should? Are you gossiping at work? Are you replacing Jesus as your Savior with other functional saviors like food, drugs, activity? Are you exercising patience as you drive the very frustrating streets of Spokane? Are you following the rules when you drive so as not to be a stumbling block to those of us who are weaker in patience? I read this Psalm and I often cannot relate to his piety. He says he hates the double minded man. Often, I’m the double minded man. So, how did this guy get to that level? How is it that the author has this attitude of devotion? This is a man who is working a recovery and prevention plan of repentance. I challenge all of us to do the same. I would challenge you to pray this prayer every day. Find out where you can repent of little things so they don’t become big things that lead to a spiritual disaster.